The holiday season is intended to be merry and bright. 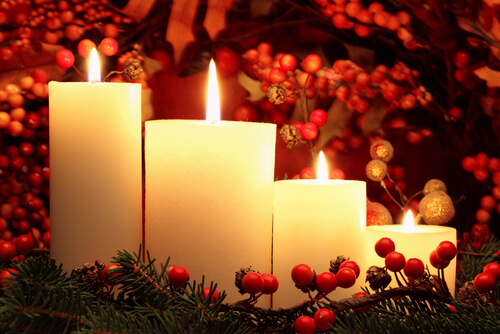 However, with so much additional risk for fires from candles, cooking, and decorations, homeowners need to put safety at the forefront of their minds this holiday season. In addition to protecting your home with a custom-tailored Ann Arbor High-Value Home Insurance, avoid becoming another hazard statistic this season by taking the following precautionary steps. Cooking is the top cause of holiday fires, according to the USFA. The most common culprit is food that’s left unattended. It’s easy to get distracted; take a pot holder with you when you leave the kitchen as a reminder that you have something on the stove. Make sure to keep a kitchen fire extinguisher that’s rated for all types of fires, and check that smoke detectors are working, says House Logic. Purchase a tree that is freshly cut and barely releases any needles when shaken. This means it’s fresh and will not dry out before the season is over, creating a fire hazard. Be sure to place the tree at least four feet from any heat or fire source and water the tree daily. Never leave a burning candle unattended. Before going to bed, be sure to check each room and blow out any lit candles. Further, consider putting a hurricane case over them to prevent fire hazards if it tipped over. Never use lights with frayed or cracked wires, especially on a tree. Ensure the ground fault interrupters do not trip frequently, otherwise, it means they’re ready to be replaced. Next, never string more than three strands of lights together at once to prevent the risk of fire.